(Nanowerk News) Spills from oil and gas operations can contaminate local water and soil with high levels of toxic chemicals, salts and radioactivity, but in many cases there is insufficient information to determine how long ago the spill occurred and identify its source. A trio of new age-dating methods developed at Duke University can now answer these questions. Tests in soils affected by oil and gas wastewater spills in West Virginia and North Dakota verify that the new methods can determine the age of spills and identify their origins, based on the variations of radium isotopes and their decay products found in contaminated soils or sediments. Radium's decay products include thorium and lead isotopes. 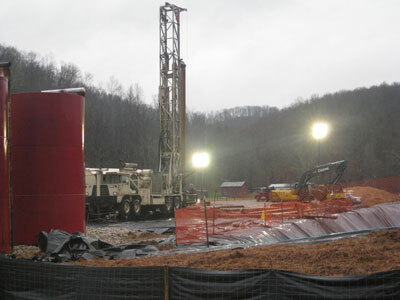 "The methods we've developed could be especially useful in areas where the source of contamination is unknown and could stem from either recent unconventional oil and gas activities associated with hydraulic fracturing or from a long legacy of conventional oil and gas operations in the same watershed," said Avner Vengosh, professor of geochemistry and water quality at Duke's Nicholas School of the Environment. "By identifying differences in the distribution of isotopes of radium and its decay products, we can now detect the age and origin of spills and provide a clear answer about their source," Vengosh said. Waters produced from unconventional oil and gas wells typically have radium isotope ratios (radium-228 to radium-226) that are different than those from conventional oil and gas operations, he said. The Duke team published its peer-reviewed study April 28 in the journal Environmental Science & Technology Letters ("Age Dating Oil and Gas Wastewater Spills Using Radium Isotopes and Their Decay Products in Impacted Soil and Sediment"). The researchers collected samples of radium-contaminated soil and sediment from two spill sites in West Virginia and North Dakota. The dates and origins of both spills were known and were used to calibrate the age-dating models. "Essentially, this gives us a snapshot into the past - a point of reference we can use to determine the age and origin of soil contamination from oil and gas wastewater," said Nancy Lauer, a PhD student working with Vengosh who was lead author of the study. "We developed three independent age-dating techniques that are based on the different decay rates of radium, thorium and lead isotopes. These range from isotopes with short half-lives of a few years to isotopes with much longer half-lives of decades," she said. "Together, they provide powerful tools to evaluate the age of the spills. Their integration also enables us delineate the initial radium isotopic signatures of the spill waters, indicating the nature of the wastewater that caused the spill." By reconstructing the initial radium isotope ratio of the wastewater that contaminated the soil, Vengosh's team can determine the source of the fluids even if the wastewater itself is no longer present at the site.